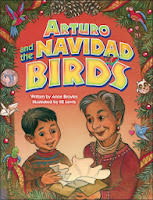 Earlier this week, I told you about Melissa Stewart (NESCBWI colleague, by the way) sticking with a book project for ten years. 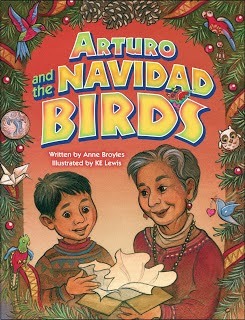 Then I heard about Anne Broyles (whom I also know) working on Arturo and the Navidad Birds for thirteen years. Now I'm thinking that this should be the test for any project a writer is considering taking on: Do you think you could work on this for at least a decade, maybe more? I stared working on AFRICA IS MY HOME in 2000 and had it pretty much written in 4 years. It took 5 more years to find it a home and then another 4 to bring it into the world this year. It has been very reassuring to see I'm not alone in this.